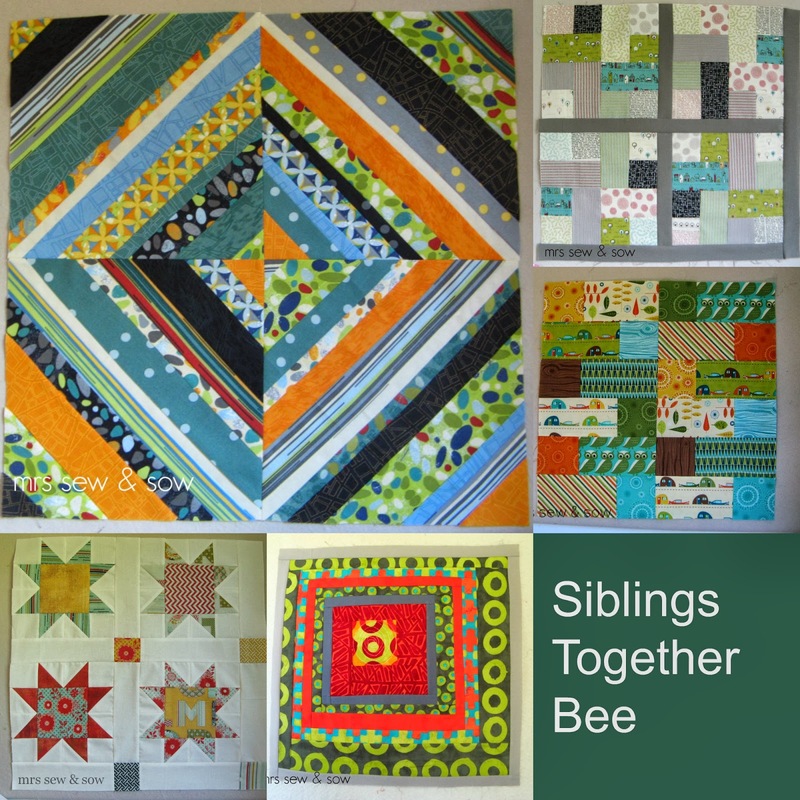 I am a happy member of the Siblings Together Bee and have been enjoying making our blocks using fabric kindly donated by Moda. We are making quilts for the charity Siblings Together which arranges holidays for children in care in the UK so they can be reunited with their siblings - at least for a little while. I may not have shown my blocks here as I have been rushed to make them at times but I am hoping to redress that now. Here is the latest block in a series of 5 - this block was chosen by Mary and uses Barcelona which I have had my eye on, on account of the map fabric - particularly the orange and the teal one! Sometimes mindless piecing of strips is just what I need while I ponder other things but I have to be in the right mood! Mary made it very easy for us by providing the paper foundation and cutting the fabric in strips! 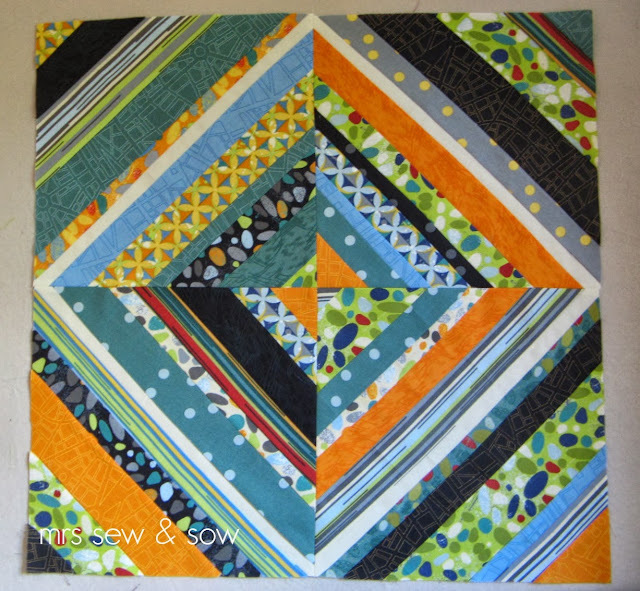 using Barcelona, Road 15, S'more love, BJ&P and Simple Marks - all lovely fabrics. 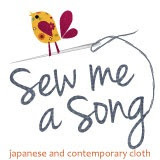 So if you are ever buying from these fabulous shops just think you are also helping to make quilts for those youngsters who are not as well provided for as our own......go on buy another FQ! Glad you enjoyed making it - looks great! I love that there is a siblings bee. You guys are great!